In 2009 I went to internship at The Heritage Foundation. I believed that I wanted a career in politics, I was wrong. There are brilliant minds at Heritage. I was horrified by Congressional staff we met with, though. As a Veteran, I was keenly aware of the support our military needed and I quickly discovered that our service members were numbers and a bottom line. Service members were not seen as people at all. In that moment I knew politics was not for me. As I have watched the last two elections a couple of things have become clear to me. First, that I made the right decision leaving DC. 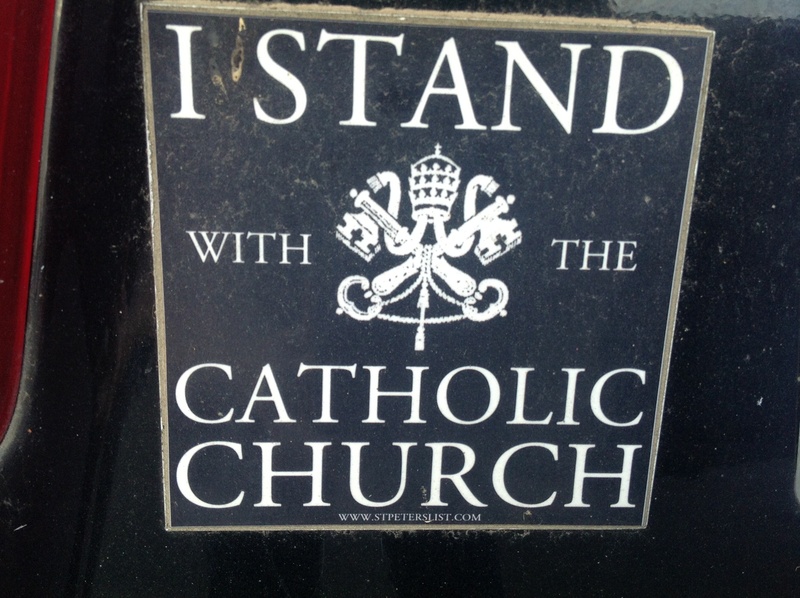 Second, things are once again going to get rough for faithful Catholics in this country. Secularism and its clarion call to relativistic dictatorship are on the march, and at this point all we can do is pray and serve others in response. The last two elections, one presidential the other the VA gubernatorial race, have shown me that we no longer look to men and women of character to lead us. Instead we swallow the lies and deceit and vote accordingly. Don’t misunderstand me, I am not happy with either Party. But the last two elections have come down to a fictitious war on women. That big bad Republicans will take away birth control, merely because they are Catholic. It has never been an agenda, even though we faithful Catholics know the great damage birth control has done. I live in Virginia and I was disgusted by ALL of the political ads. But, more than anything, I am disturbed by what this country stands for now. I have absolutely no idea what the issues were for this race, except that most ads I saw were about people taking away birth control. A flat out lie, but people don’t know how to think anymore. This is a brilliant move because it is winning elections and it works for the war on the Catholic Church that this Admin is waging. It is a subtle way to vilify Catholics that will become more overt, as things like “gay marriage” gain traction in this country. You have to alienate a group of people before you can work to push them out of the public sphere and launch a full scale attack. None of this is new. Church history, as Christ promised, is full of persecution. Human history is bloody which is precisely why the God-Man had to offer his blood for us. We, in our depravity, would accept no less, and our sin demanded it. If the world killed God, what makes us think that we are somehow exempt? We have enjoyed a few decades of relative peace in this country, but that is not the historical norm, and it will not last. Enlightenment is merely a philosophy that denies faith and focuses solely on reason. It ignores human nature and sin. The 20th Century was the bloodiest in human history and perpetrated by atheistic regimes, secular regimes. My husband and I have become increasingly more detached from politics, because we know what is coming, and it will not be pretty. We work in our community serving the poor and the Culture of Life. We no longer harbor illusions that politicians really want to do good. This is a spiritual war between principalities. We fight with prayer, love, and service. In the end that is all we can do. What is going on in this country is distressing, but we always need to remember that we are a Resurrection people. The battle is won by Christ. That does not mean that we will not suffer, but it means that good triumphs over evil. We just have to keep praying. I get so frustrated with the battle over “women’s rights” as it is played out in the media. I agree! Prayer is our best weapon. I understand and respect your decision to become more detached from politics. Say a prayer for those of us still in the arena, where perspective and priorities are always in danger of being mixed up! I will definitely be praying for all who work in politics!